Motogear | Moto GP: Philip Island – A dramatic race for all. Moto GP: Philip Island – A dramatic race for all. 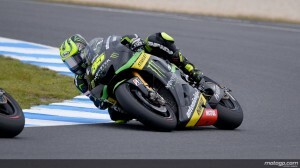 23 Oct Moto GP: Philip Island – A dramatic race for all. For the first time on a dry track in MotoGP™ history, compulsory bike changes were required in Sunday’s Australian Grand Prix. A new race distance of 19 laps meant that all riders were required to change bikes during the race. The change was made after Bridgestone announced that they were unable to guarantee the safety of their rear slick tyres beyond ten laps. The race proved difficult for all and a miscalculation from Marc Marquez’ team resulted in a black flag and no points for the Repsol Honda rider. 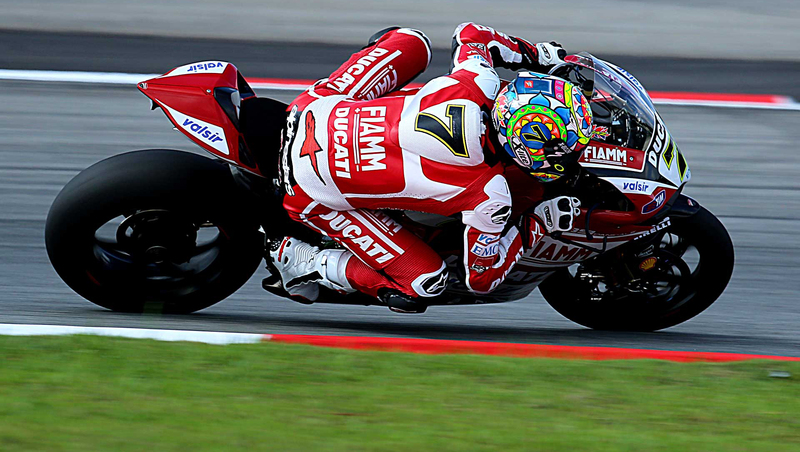 This allowed former X-lite pilot Jorge Lorenzo to take the win and catch up with the championship leader. With only 18 points between them – the battle for the title has come down to the last two races. Spidi pilot Cal Crutchlow had a better race than he’d had in a while – just missing out on the podium with a 4th position. Congratulations to Spidi backed Aleix Espargaro on becoming the CRT World Champion for the second consecutive year. In Moto2 Pol Espargaro retook the championship lead after wining the Tissot Australian Grand Prix. Nakagami unfortunately finished in 22nd after receiving a penalty for jumping the start. In Moto3 Alex Rins is victorious once again! After six race wins this season as well as having won three of the last four Grands Prix – Alex now sits 2nd in the championship standing – only 5 points behind the leader Salom.